We definitely rocked the run this weekend. 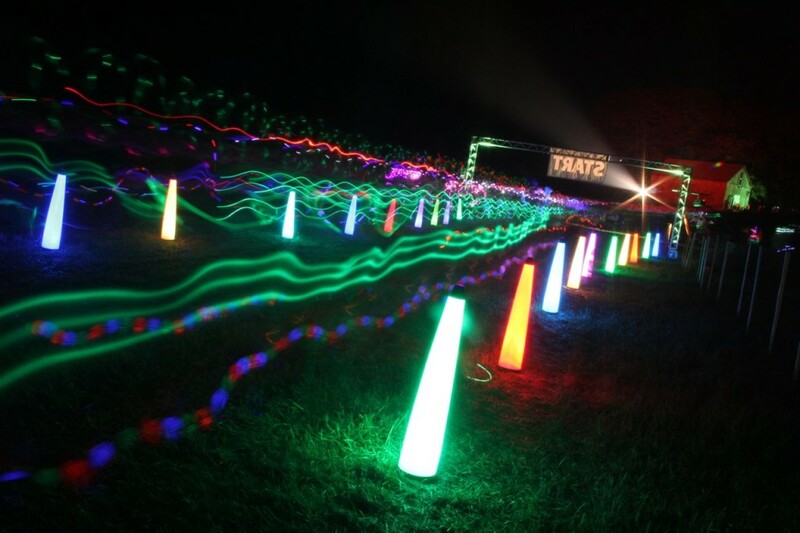 Who knew glowgear lights would be awesome for a neon fun run. 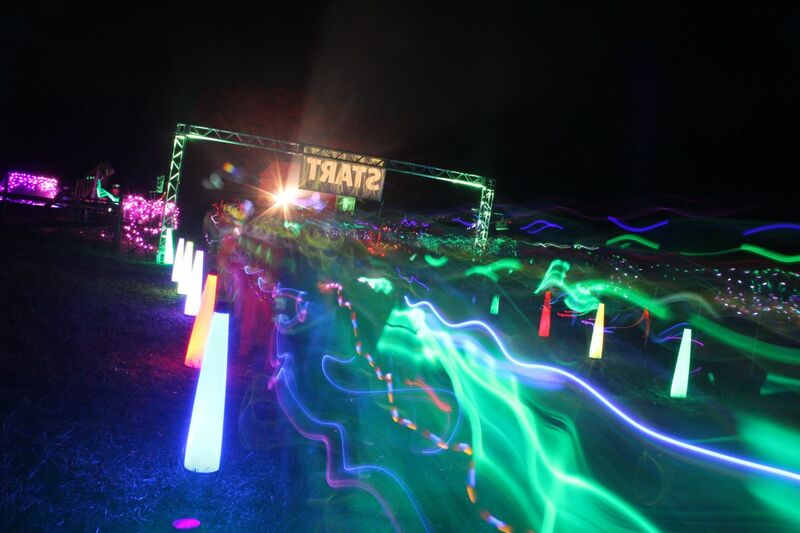 A few weeks we got the call to light up the Monsster Glow Dash 5K in Mechanicsville, MD, so we grabbed the challenge by the glow sticks and hit it out of the stadium. Here are the first photos from the event. It took about 400-500 marker lights to light up 5 kilometers, but that wasn’t a problem. These photos came out amazing. 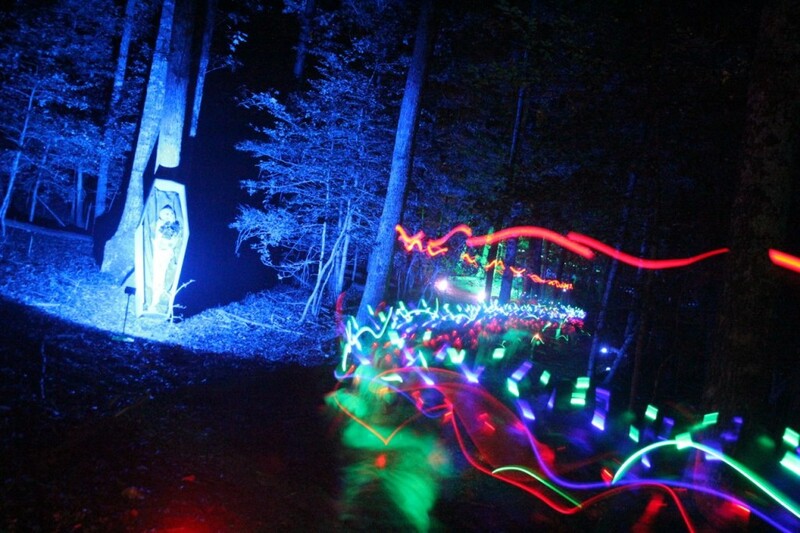 On the course, we lit up a 1.5 km of a hilly trail through the trees. I don’t think anyone has ever done this the way we did it with our markers. It was spectacular. In the woods were all kinds of nasty scary Halloween creatures lerking behind trees etc and we had to make them look good without running power cords etc. That was a challenge, but we were able to use a mobile Cat tractor to distribute everything within about two hours. Then when the sun went down, we drove through and remotely powered all the lights up and then the fun began. Runners screaming, laughing, glowing. 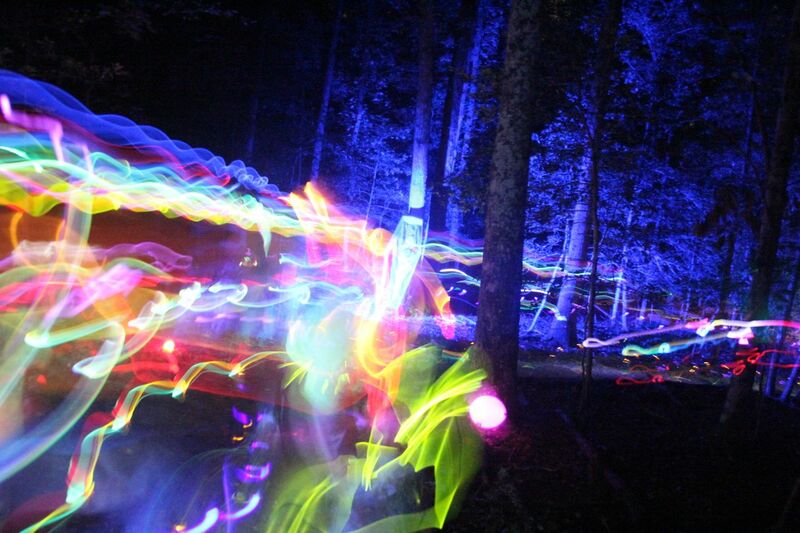 If you’ve never done a neon fun run before, now you have to. It’s a blast. Many thanks to everyone at the Monstar Glow Dash 5k. Putting on neon runs is complete blast. 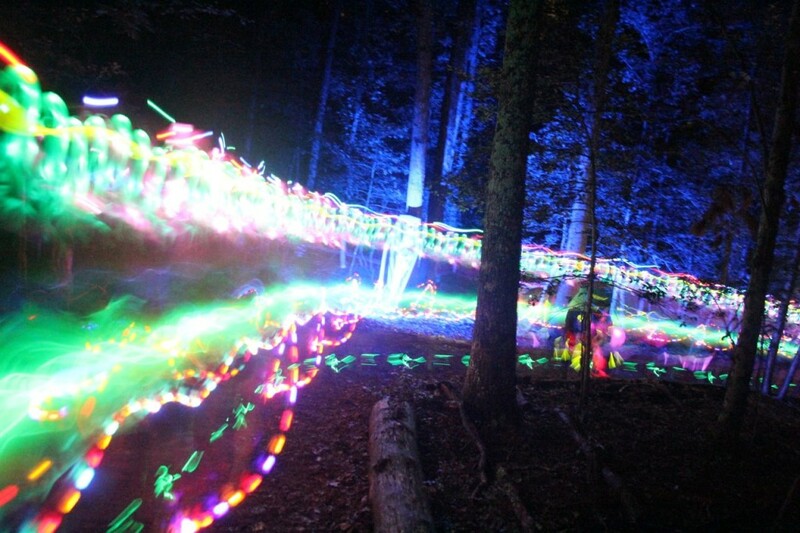 We are excited about putting together amazing glow events of all kind from neon fun runs to cosmic golf. We light everything.